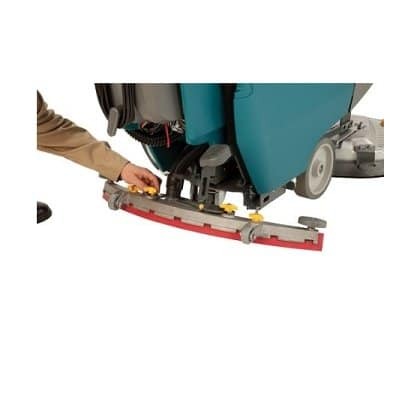 Magnetic head to allow pads and brushes to be more easily changed with minimal operator effort. 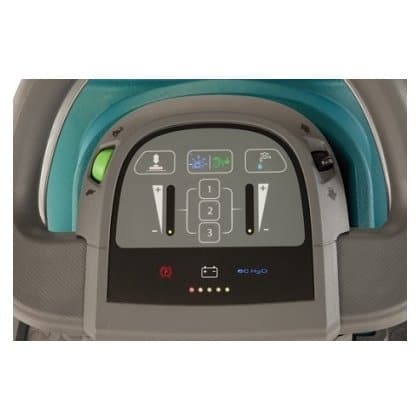 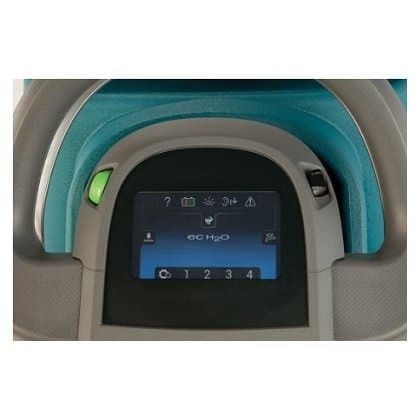 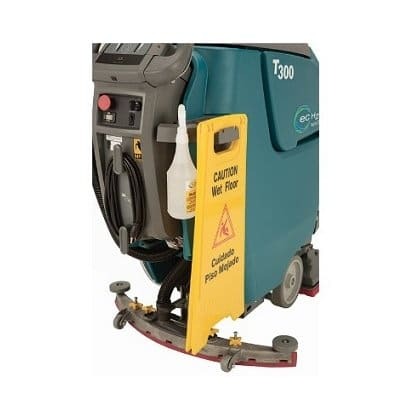 Optional Tennat T300 Pro-Panel on-board video helps ensure the scrubber dryer machine is operated in a safe manner for optimum results, simplified training and reduced cleaning costs. 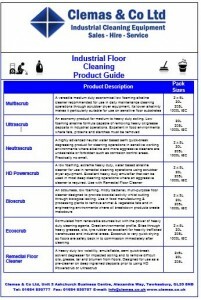 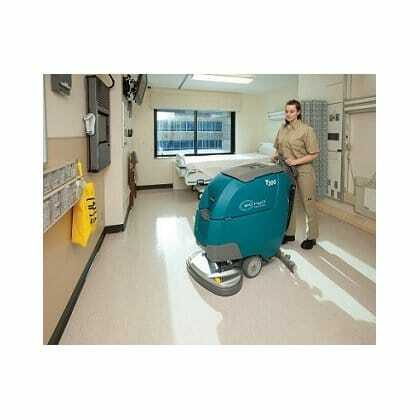 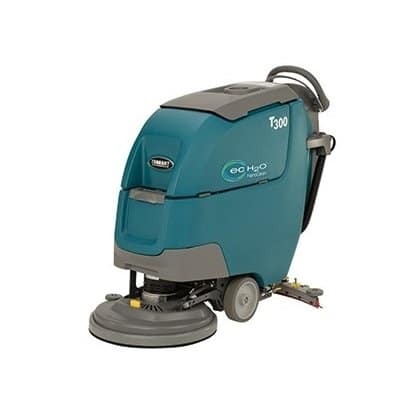 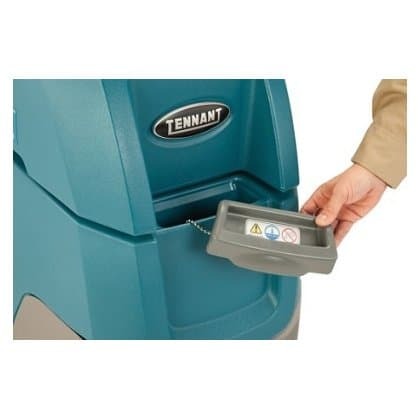 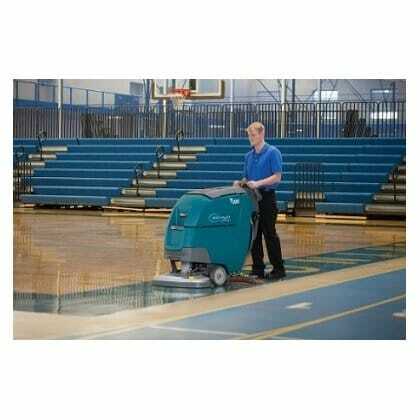 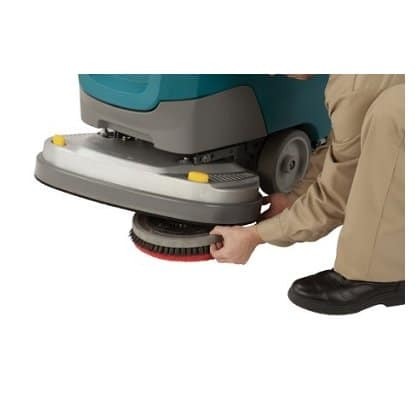 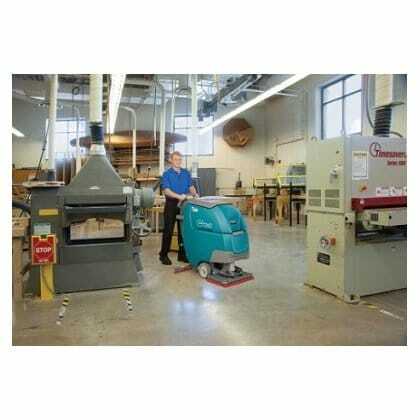 Vacuum motor allows the Tennant T300 to clean as low as 57.9 dBA for quiet daytime cleaning. 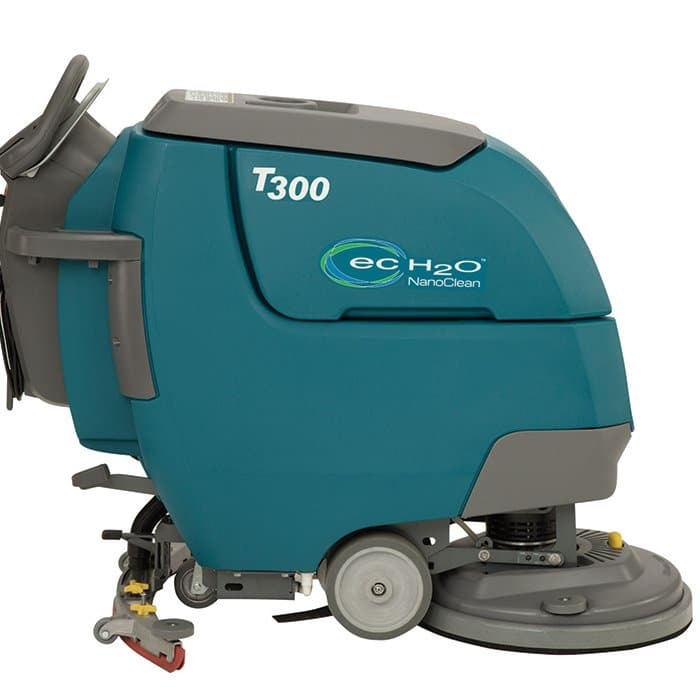 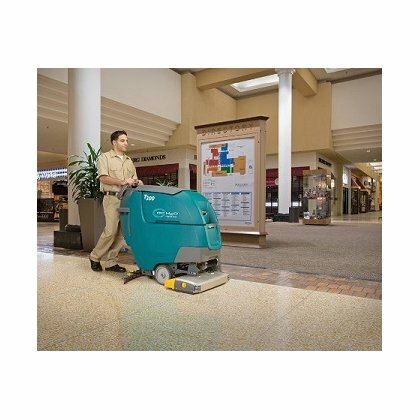 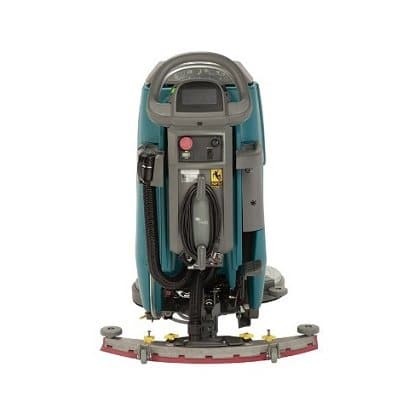 The Tennant T5 60 is a larger floor scrubber dryer with a 85 litre solution tank and the Tennant T2 43 is an alternative smaller walk behind scrubber dryer.